Olly is the first smart lifestyle assistant that develops a personality based on its user’s moods and preferences, meaning daily communications with Olly are always unique and enjoyable. Thanks to its unique form factor and LED configuration Olly is able to convey a range of emotions that users can detect visually. Technology analyst Gartner forecasts that the number of smart connected homes is expected to grow from between 100 to 200 million homes today to between 500 to 700 million homes by 2020. Olly provides users with an intuitive and personable interface that enables easy access a full range of connected devices in the home. 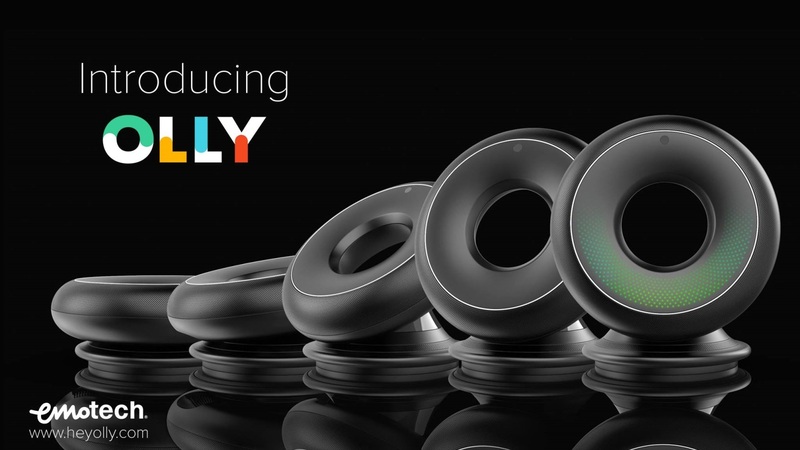 With an elegant, compact design, featuring cutting edge interactive sensor technologies, Olly boasts the optimal form factor for both its complex microphone array design and 360-degree audio performance. The innovative design combined with sensing algorithms provides advanced perception capability; not only will Olly know which room it is in and which user it is interacting with, it also will be able to detect what the user is doing and even their mood. Products chosen as CES Innovation Honorees reflect innovative design and engineering in some of the most cutting edge tech products and services coming to market. Entries are evaluated on their engineering, aesthetic and design qualities, intended use/function and user value, unique/novel features present and how the design and innovation of the product directly compares to other products in the marketplace. Olly Robot will be displayed in South Hall 4, 35348 at CES 2017, which runs January 5-8, 2017, in Las Vegas, Nevada. CES 2017 Innovation Honoree products are featured on CES.tech/Innovation.